‘Blank Blank’ is the highly anticipated full-length album release by North Carolina Hip-Hop/rap artist DaBaby via South Coast Music Group. Tackling mainstream hip-hop head-on, it’s only a matter of time regarding when the world will acknowledge his prowess as a music virtuoso. With a commanding stage performance and a very expressive persona, you can only imagine the depth of personality someone like DaBaby possesses. 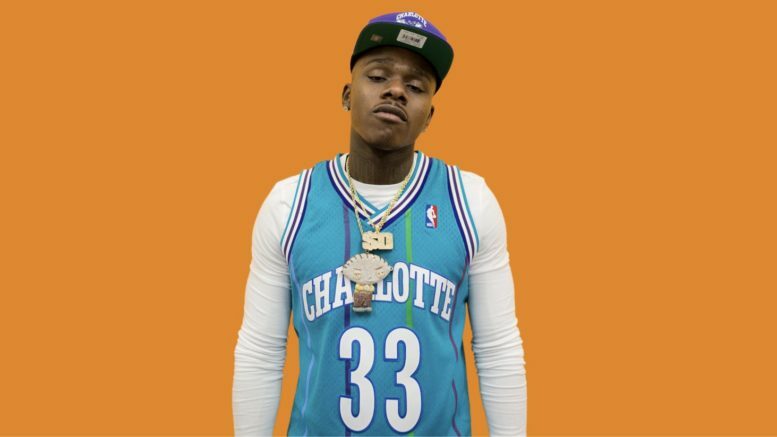 Representation matters, and the 704 has expressed its gratitude towards what DaBaby has done for North Carolina’s music scene. DaBaby’s emergence in hip-hop dates back to 2015 under the moniker Baby Jesus. Following the release of multiple mixtapes and eventually creating his own wave in music, people have come to familiarize themselves with DaBaby. Those acquainted with his musical catalog have developed a sound understanding of what it means to be consistent. The album opens up with ‘Next Song’, and it’s nothing short of what you would expect from DaBaby’s bravado. His infamous story-telling ability integrated with strong 808’s fused together tremendously to make even the most introverted become expressive. The lyrics depict the reality associated with a conspicuous lifestyle and what problems may arise. Although there is no chorus, the lyrics suffice in cementing the understanding of what DaBaby represents. Next up is ‘Blank Blank’ and ‘21’, a set of tracks that exemplify euphoric lyricism. The braggadocious demeanor continues, yet in a more demonstrative manner. It’s evident that the underlying theme in his music is accountability, shown in lyrics such as “When I was down, I was on my own, now all these people need me. I had to branch off on my own, too many people leeching,” in ‘21’. ‘Deserve It’ changes the mood immediately from the first few words. It is resentment personified with echoing reminders about what not to do. In listening, I couldn’t help but become reminiscent of a simpler time when emotions weren’t weighed so heavily. ‘4X’ feat. Stunna 4 Vegas starts out at what appears to be the conclusion of a phone call of great importance. ‘4X’ is the second single released by DaBaby and Stunna 4 Vegas collectively. It’s quite evident that a team-mentality is exemplified as the two artists go verse-for-verse to deliver a catchy trap-hit. ‘Milli’ is the unique telling of a peculiar series of encounters that DaBaby has had in the past. It’s full of laughable metaphors and witty wordplay presented in a manner that leaves no room for misconstruction. ‘No Tears’ ventures to the dark side of the reality associated with enduring troubles and hardships. Emphasizing the importance of being strong-minded and resilient despite facing adversity. ‘Best Friend’ provides a cadence bearing comparison with the late XXXTentacion’s ‘SAD!’ record. This track tells the tale of a mystery woman that is quite impressionable and what unveils in the direct message section on social media. ‘Beeper’ is the last song on the project and does not disappoint in the slightest. Ending this 21-minute album in style with a sense of a trapper’s bliss. Overall, the album is phenomenal in staying true to who DaBaby is, a trap-rockstar. Regardless of what genre of music you are a fan of, you can’t help but commend DaBaby’s work ethic. His loyal fan-base is sure to attest at the impact he has made. His creativity renders no limit and his progressive takeover is in full-effect. With 2019 just getting started, the tone is already set on what you can anticipate from the Billion Dollar Baby. Be the first to comment on "DaBaby “Blank Blank” Review"